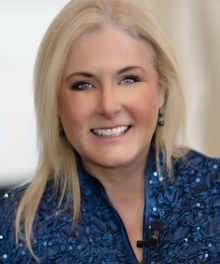 Mary Kelly, PhD, CSP, CDR, Us Navy (Ret) is an internationally known economist and leadership expert specializing in the fields of leadership, productivity, communication, and business profit growth. She is the CEO of Productive Leaders, with sites in Dallas Texas and Denver Colorado. Mary has been quoted in hundreds of periodicals including Forbes, Money Magazine, Entrepreneur, the Wall Street Journal, and dozens of business journals. Mary is a member of MENSA, and has received several accolades; Air Force Academy Instructor of the Year, National Speakers Association-Colorado Member of the Year, and the Navy League Leadership Award. She is the author of 11 books, including award winning and best selling Master Your World, 15 Ways to Grow Your Business in any Economy, and Money Smart; 360 Degrees of Leadership, Stop the Barking, Why Leaders Fail and the 7 Prescriptions for Success, and In Case of Emergency Break Glass. A former university business and economics professor, Mary combines theory and practicality. With extensive experience in human resources, finance, insurance, organizational leadership, strategic planning, and project development, she focuses on building successful strategies for business leaders at all levels of an organization. Mary holds a Bachelors degree in History from the United States Naval Academy, a Masters in Economics from the University of Oklahoma and in History from the University of Hawaii, and a PhD in Economics from Greenwich University. Mary lives in Monument, Colorado and enjoys skiing, kayaking, time outside with her dogs, and philanthropic activities.